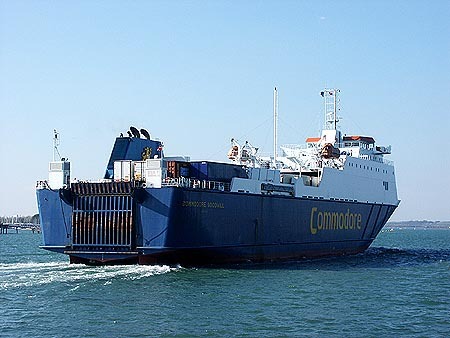 Commodore Goodwill is one of two RoRo ferries ordered on 16th December 1994 to Koninglijke Schelde Groep shipyard by Commodore Shipping, in order to update its fleet serving the Portsmouth – Channel Islands route. 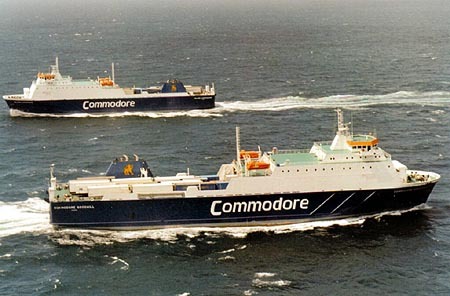 The second ship, christened as Island Commodore was introduced in 1995. Commodore Goodwill was launched on 6th November 1995, and delivered on 1st March 1996 to NYDA Shipping. 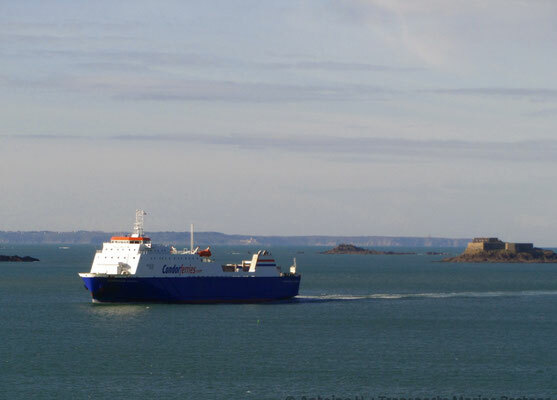 Commodore Goodwill performed her maiden voyage on 4th March 1996 from Guernsey, replacing Commodore Clipper (4). She has been operated on this route since then. At week ends, Commodore Goodwill has also been operating since the mid-00s a freight-only service to Saint-Malo, enabling the carrying of French goods to the Channel Islands. 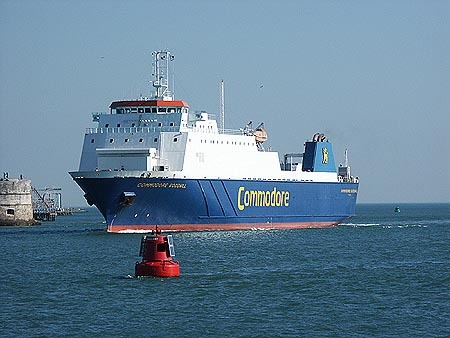 In 2004, following Condor Ferries' policy of operating all of its services under its brand, Commodore Goodwill was repainted to Condor Ferries' brand colours. She however kept her blue hull. 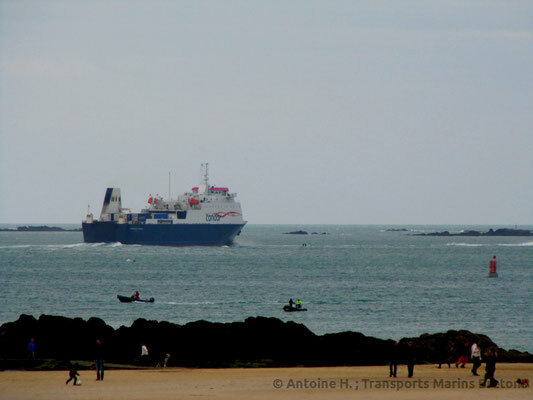 On 10th December 2007, whilst Commodore Goodwill was entering Elizabeth Harbour in Saint-Helier in inclement sea conditions, she collided with the marina’s pier. One of her propeller was damaged and she had to be sent to Falmouth to enable repairs. 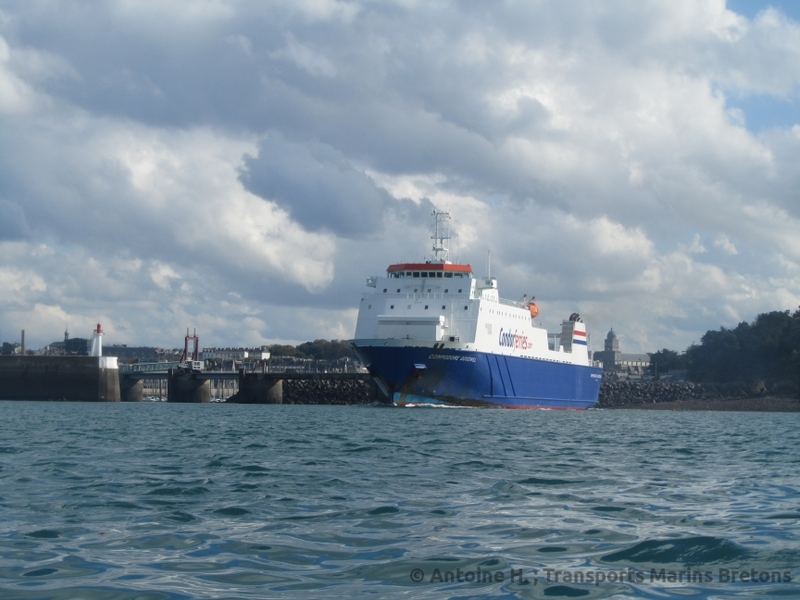 Brittany Ferries’ Coutances had to be chartered in on the purpose of taking Commodore Goodwill’s schedule. In 2012, Condor Ltd became the owner of Commodore Goodwill, instead of the Bahamas-registered society that had owned her since her introduction. 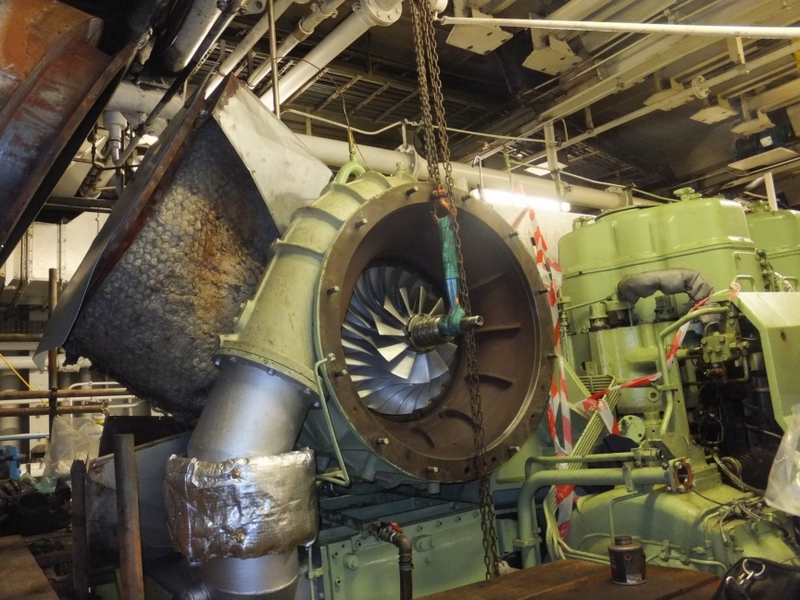 In order to enable Commodore Goodwill to comply with the latest European regulations regarding ships exhausts, she was to be equipped with scrubbers during Winter 2015. 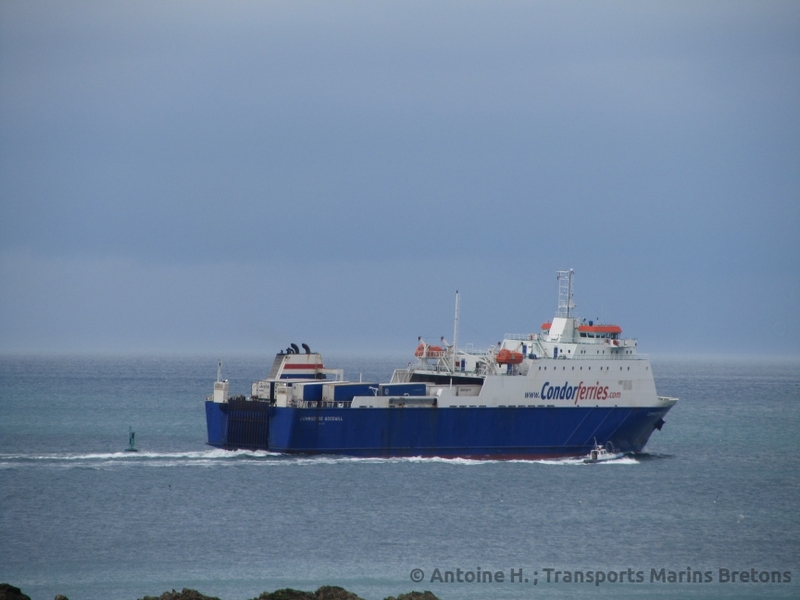 She was meanwhile repainted to the new Condor Ferries’ livery. 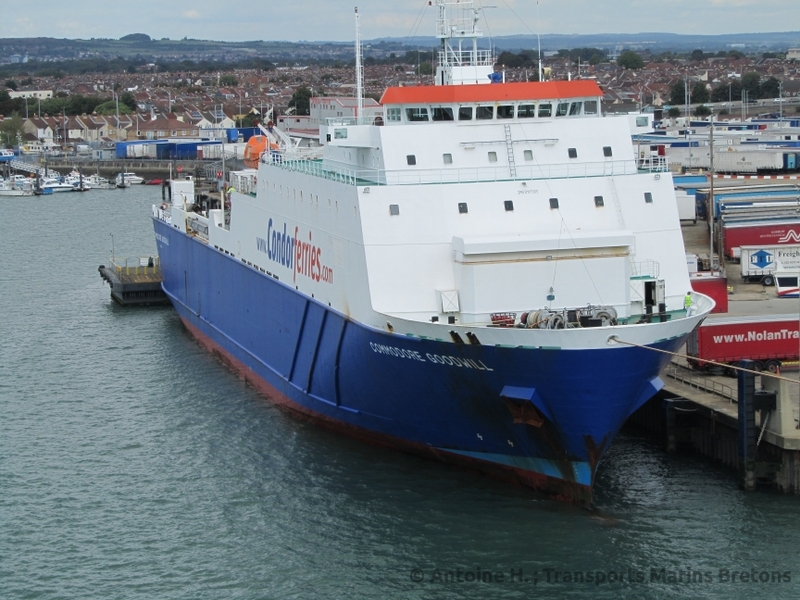 However, due to scrubbers being delivered behind schedule, she has only be equipped with them between 19th June and 3rd July 2016. 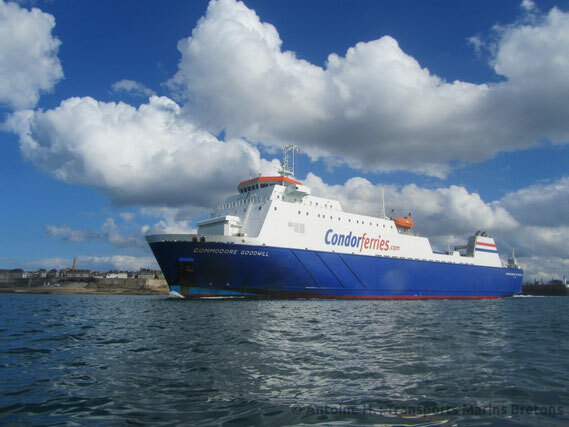 "Condor Ferries:Page 1 - Commodore Shipping Conventional Ships". In Simplon Postcards, Boyle, I., 2008. [retrieved 25th August 2015]. Available at www.simplonpc.co.uk.